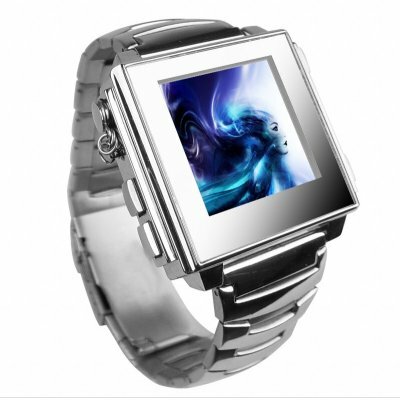 Successfully Added 4GB High Fashion Mens MP4 Watch - 1.5 Inch LCD Screen to your Shopping Cart. It's GQ meets geek chic with this brand new high fashion MP4 watch with a massive 4GB of internal memory and 1.5 inch LCD screen. This watch is a certified triple threat; it works good, it sounds good, it looks good. The firmware is stable and the menus are easy to navigate through. The sound and picture quality is just superb and you just can't beat the bling-tastic look of it. It also comes with a 2.5 ~ 3.5 earphone jack adaptor for easy connection to most mini-amplification systems or standard earphones. Take advantage of Chinavasions no MOQ policy import this great MP4 watch today. Note: This product does not have a built in FM radio.